I am an American living in France. I have a class of 4-11 year olds whom I teach, and I also have private tutoring for children, adolescents, and adults. Blank areas for students to fill in vocabulary in their native language. 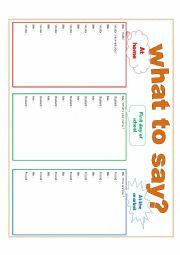 Encourages conversation, can be done as a paired activity in class or independent work. 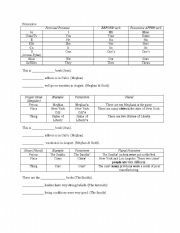 Lesson and worksheet (and reference for the student) on how to form negative sentences with Be/Have in present, past, and present continuous tenses. This is a great homework assignment for older students. The student will be able to accurately identify whether a sentence is comparing two items or superlative (one item being compared to a group of items). Lesson about comparison & superlatives is included, this is a 2 page lesson. 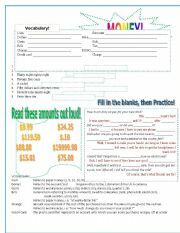 Great lesson for students who can read/write and practice pronunciation and conversations about money! Great for one one one tutoring or classroom discussions! Common vocabulary, Reading & Understanding costs, and how to talk about shopping! 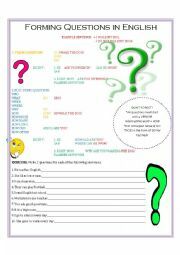 Answers are on the second page, and worksheet is completely editable! Lesson and worksheet (and reference for the student) on how to form Yes/No questions and questions with interrogative words. Helpful worksheet to encourage students to think about context-specific conversation starter questions. 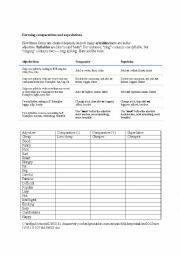 Page 2 has a list of question ideas to help teachers encourage learners to think about what kinds of questions they will ask. For younger learners, teachers can write questions on board or complete the activity as an oral exercise. 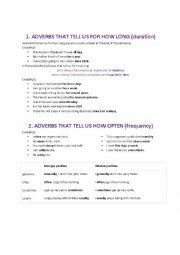 Adverb lessons on: frequency, duration, time, place, and intensity. Each type of adverb is explained and examples are for each. 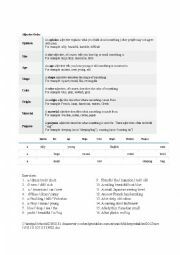 A teacher can use this for lesson planning and then give the sentences to students for an exercise. This is a chart of 4 generations of family relationships with all the possibly relationship titles listed. On the second & third page there is an activity where the student must identify how different people on the given family tree are related. 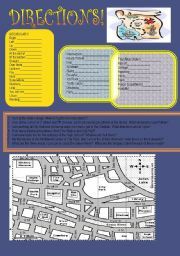 Three charts on Possessive Adjectives (my, yours, theirs), Plural (ten Janes), and Possessive Plural (the Smiths�). There are "fill in the blank" type sentences for each as well to complete with your student.